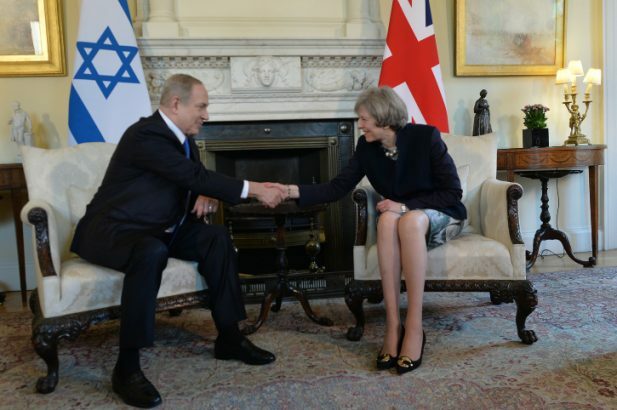 Israeli Prime Minister Benjamin Netanyahu meeting for the first time UK Prime Minister Theresa May at No.10 Downing Street, 6 February 2017. Photo by Kobi Gideon. Simon Gordon: The JC inferred from an open letter by leaders of progressive youth movements criticising the communal leadership that the ‘centre-ground’ for Anglo-Jewry on Israel has moved to the left. That inference is suspect. The available data does not indicate a leftward shift. Yachad’s own survey of the attitudes of British Jews towards Israel, conducted by Ipsos Mori in 2015, found that 60 per cent agreed that there is no Palestinian partner for peace, that 70 per cent said Palestinians must recognise Israel as a Jewish state if they want peace, and that 93 per cent thought Israel was entitled to take military action to combat Hamas rockets and tunnels. Such views are hardly out of step with those of the Israeli government. This may explain why the JC’s poll of British Jews prior to the 2015 Israeli elections, conducted by Survation, found that 67 per cent would vote Likud, with just 22 per cent backing the Zionist Union. British politics paints a similar picture. Since the 2014 Gaza War, Israel has become a polarising issue,, which has only intensified since Jeremy Corbyn replaced Ed Miliband as Labour leader. 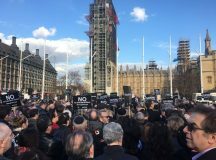 The ongoing Labour anti-Semitism scandal is inseparable from the anti-Zionist sympathies of the fringe figures who now control the party – as evidenced by the dispute over whether to adopt the International Holocaust Remembrance Alliance (IHRA) definition of anti-Semitism in full or to modify the provisions relating to Israel. Per Corbyn, ‘to assert that ‘anti-Zionism is racism’ now is wrong’. By contrast, the Conservatives have taken pains to show the Jewish community their (relative) support for Israel. Over recent years, B’nei Akiva’s Yom Ha’atzmaut service at Kinloss has been addressed by senior government ministers including Gavin Williamson, Sajid Javid, Stephen Crabb, and, in 2015, Theresa May. The Jewish community’s response, in successive elections, has been clear. In the 2015 and 2017 general elections and 2018 local elections, constituencies with a high proportion of Jewish residents, in both London and Manchester, have formed blue islands in a sea of red. Even as the Conservatives lost other Remain voters in major cities, Jewish support has held firm. 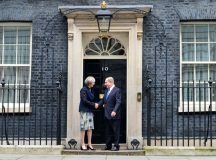 As the two major parties have moved on Israel, the political affiliations of British Jews have clearly shifted too. However the shift is to the right, not the left. If communal leaders are out of step with the Jewish community on Israel, the misalignment is not of that suggested in the open letter. 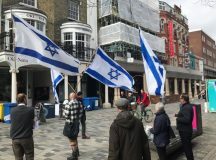 Far from marginalising the New Israel Fund (NIF) and progressive youth groups, as the open letter alleges, the institutions of Anglo-Jewry have been all too receptive. 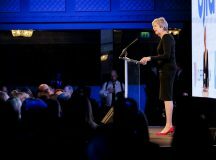 The Board of Deputies’s (BOD) limp defence of Israel during the 2014 Gaza War prompted a furious backlash from Jews at a townhall event, who felt the BOD should have adopted a much more muscular stance. Jonathan Arkush, who succeeded Vivian Wineman as president of the BOD, delivered the Israel policy the town hall audience demanded. In so doing, he moved the BOD back onto the ‘centre-ground’. Misalignment between Jewish institutions and the Jewish community occurs when the leadership mistakes the views of a vocal minority for those of the silent majority. 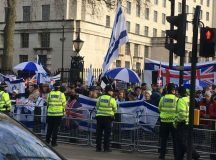 The available evidence suggests that mainstream Anglo-Jewry supports Israel, her government, and the actions of her military, much as it has for decades. The ‘centre-ground’ is staying put. Our leaders should follow suit. SG: Diaspora Jews who want to influence Israeli policy and practice have the means to do so. They can exercise their right of return, become Israeli citizens, and participate in Israeli democracy. Democratic rights do not extend to those who choose not to make aliyah. If Israel is to remain a democracy, her government must be solely beholden to her citizens. Diaspora Jews should not expect to influence Israeli policy simply by dint of being Jewish. Lack of political participation does not preclude Diaspora Jews from involvement in Israeli society. There is no shortage of charitable projects to contribute towards, whether by donating financially, sharing expertise, or volunteering on the ground. 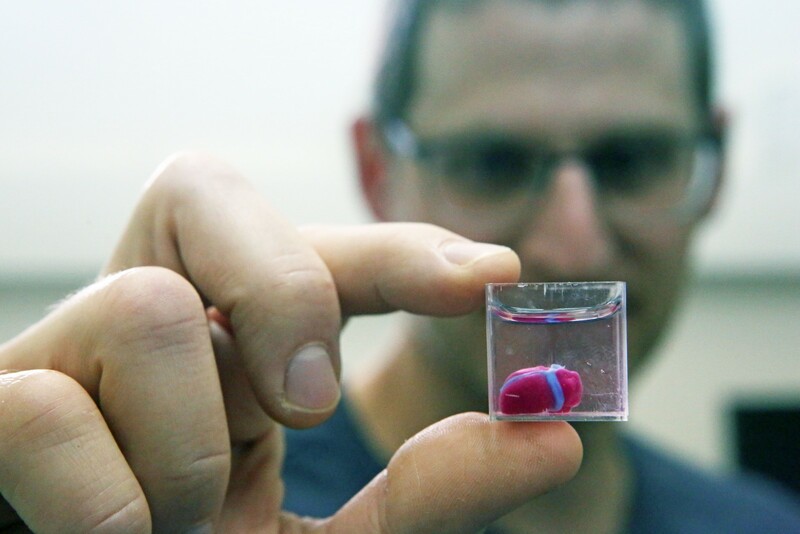 Beyond the project in question, there is no doubt that such initiatives strengthen ties between Israel and the Diaspora. When I was working for the Israeli ambassador, I lost count of the number of messages we sent to British charities thanking them for their work in Israel. Attempts to influence Israeli politics from the outside, however, provoke the opposite response. The problem is moral hazard. Israelis are liable to resent political interventions by people who will not bear the cost of the policies they promote. It’s a lot easier to call for an end to occupation when your house is out of range of Hamas rockets. The effect of such advocacy is not to change policy, but merely to damage the relationship between Israel and the rest of the Jewish world. British groups that criticise Israel for being unreceptive to their concerns display a profound lack of self-awareness. Perhaps the problem isn’t that Israel hasn’t been listening to us. Maybe we haven’t been listening carefully enough to the Israeli public. At the party BICOM hosted for the last Israeli elections, I was struck by the despondency in the room when it became clear that Prime Minister Benjamin Netanyahu had pulled off a surprise victory. One prominent pro-Israel activist said to me: ‘Don’t they realise how difficult this makes life for us?’ Did he realise, I wondered, how difficult many Israeli voters clearly felt the alternative would make life for them? Effective engagement with Israel requires empathy. If Israelis are voting for different parties from those some British Jews would support, the response should not be to berate them for their choice but to understand why they made it. Criticism is counterproductive. SG: Demonisation, or delegitimisation of Israel – that is, denying the State of Israel rights that other countries are assumed to hold or the Jewish people the right to national self-determination – is by definition racist. British Jews, no less than anyone else, should not fuel racist ideology. This requires strategic awareness. Those who delegitimise Israel will always seek to cite support from Jews to demonstrate that they are not racist. When community leaders or Jewish NGOs condemn a particular Israeli policy, they should expect their statement to be used to legitimise anti-Zionism. Corbyn’s claim that the BOD shared his concerns about the Nation-State Law, which he falsely accused of ‘relegating Palestinian citizens to second-class status,’ is a case in point. The solution is not to criticise Israel publicly. If Jewish groups feel they must take issue with the Israeli government, they should at least do it behind closed doors. If the government is really their intended audience, writing to the Israeli ambassador privately should serve the same purpose as issuing a press release or saying kaddish in Parliament Square. Assuming, that is, that the purpose of seeking publicity is not precisely to create a tail wind. 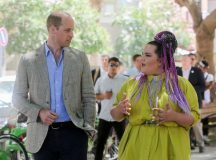 Self-professed Zionists – whether individuals or organisations – should be especially sensitive to the consequences of their public pronouncements. 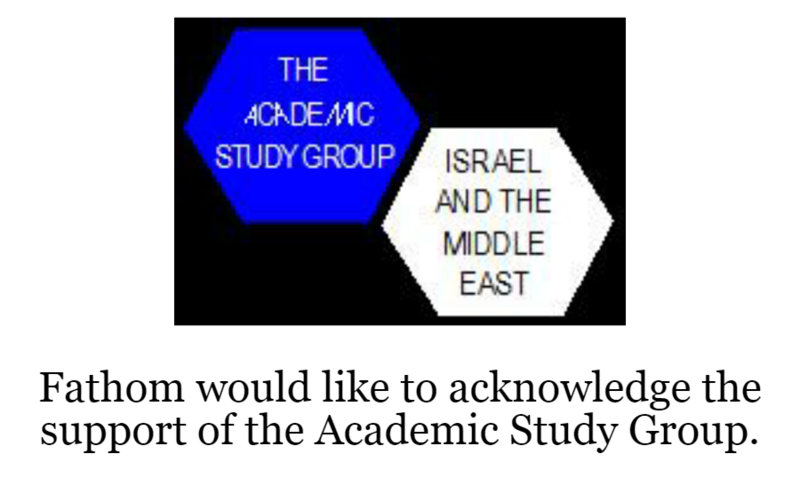 Groups that repeatedly rebuke the Israeli government in the full knowledge that their words will be co-opted by anti-Zionists are responsible for the damage caused. Zionism entails more than subscribing to a set of principles. It means acting in a way that supports, rather than undermines, the state. Indeed, neglecting to give succour to delegitimisers is not enough. Jews should be proactive in exposing the racism underlying anti-Zionism. It is incumbent on us to unmask racism masquerading as legitimate criticism of Israel. We can’t expect others to put their heads above the parapet on our behalf if we’re too timid to do so ourselves. Metropolitan Jewísh bubble which is in a minority. OCCUPATION. with out discussing what the end of it would result in.